Professor Sarah Franklin moved from the London School of Economics to take up the Chair of Sociology at Cambridge in October 2011. In 2012 she received awards from the Wellcome Trust (Senior Investigator), ESRC (Seminar Series) and British Academy (Academy Research project) to establish two new initiatives: The IVF Histories and Cultures Project (with Martin Johnson and Nick Hopwood) and the Reproductive Sociology Research Group (ReproSoc). As outlined in her most recent monograph, Biological relatives: IVF, stem cells and the future of kinship (Duke 2013), Franklin’s research explores the ways in which contemporary ideas of the biological are undergoing transformation, often in intimate contexts such as technological quests for parenthood, through which the process of making new biological relatives engenders a new relativity of the biological. Franklin was among the first researchers to begin to analyse the forms of social change associated with the introduction of new reproductive technologies in the 1980s. Since completing her PhD research on IVF at the Birmingham Centre for Contemporary Cultural Studies in 1989, she has published extensively on the social aspects of new reproductive technologies. In addition to assisted conception technologies, Franklin has conducted fieldwork on cloning, preimplantation genetic diagnosis (PGD), and human embryonic stem cell derivation. 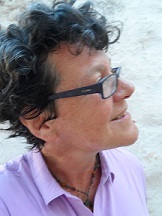 Her research combines ethnographic methods with science studies, gender theory, and the study of kinship and has contributed to a number of emergent fields in social theory including the ‘new kinship studies’, the feminist analysis of science, the anthropology of biomedicine, and the cultural analysis of new reproductive technologies. Franklin has an MA in Women’s Studies from the University of Kent (1984) and an MA in Anthropology from NYU (1986). She studied for her PhD at the Birmingham Centre for Cultural Studies from 1986-1989, taking her doctoral degree in 1992. From 1990-1993 she worked both in the Department of Social Anthropology at the University of Manchester and the Department of Sociology at Lancaster University. From 1993 she moved to a fulltime position at Lancaster where she was promoted to a Chair in the Anthropology of Science in 2001. In 2004 she moved to the LSE where she was Professor of Social Studies of Biomedicine and Associate Director of the BIOS Centre until 2011. She has held Visiting professorships at the University of California, the University of Tarragona, the University of Hannover, New York University and the University of Sydney. Her research has been supported by the ESRC, Leverhulme Trust, MRC, Wenner-Gren Foundation, Carnegie Foundation, European Commission, British Academy, Mellon Foundation, Philomathia Foundation, ERC and the Wellcome Trust. Throughout her career she has worked closely with clinicians, patients, scientists and policymakers in an attempt to widen sociological engagement with emerging issues in bioscience and biomedicine. She is a Fellow of Christ’s College, the Royal Anthropological Institute, and of The Society of Biology as well as a Smith College Alumnae and Medallist (2011). In addition to directing the Reproductive Sociology Research Group, Franklin is a Wellcome Trust Senior Investigator, a Section Editor of the journal Reproductive Biomedicine Online, and Chair of the Anne McLaren Trust.